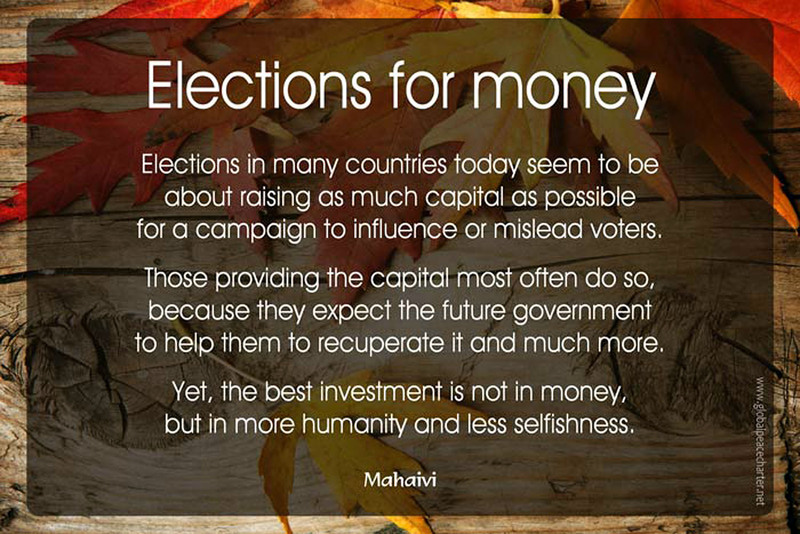 Elections in many countries today seem to be about raising as much capital as possible for a campaign to influence or mislead voters. Those providing the capital most often do so, because they expect the future government to help them to recuperate it and much more. Yet, the best investment is not in money, but in more humanity and less selfishness.